This rich yet lightweight formula will leave your skin feeling replenished. 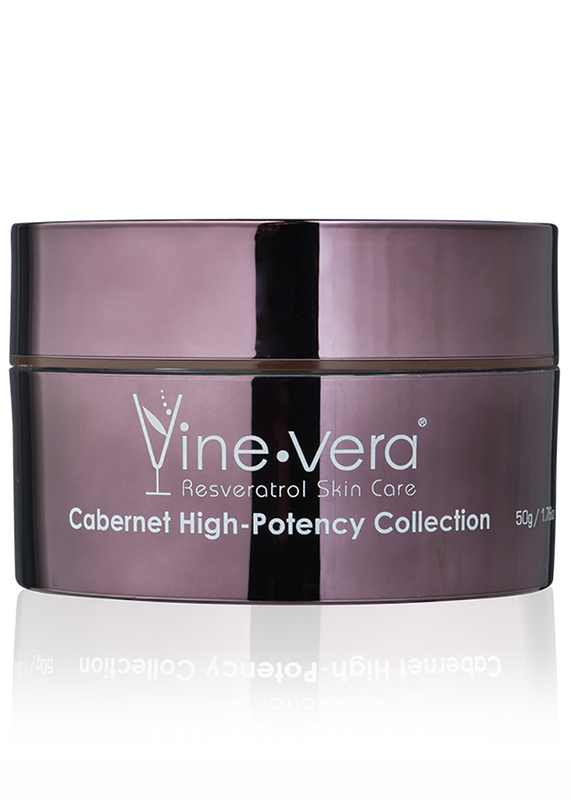 Use the Resveratrol Merlot Moisture Day Cream to complete your daily skincare regimen with a soft radiant finish. 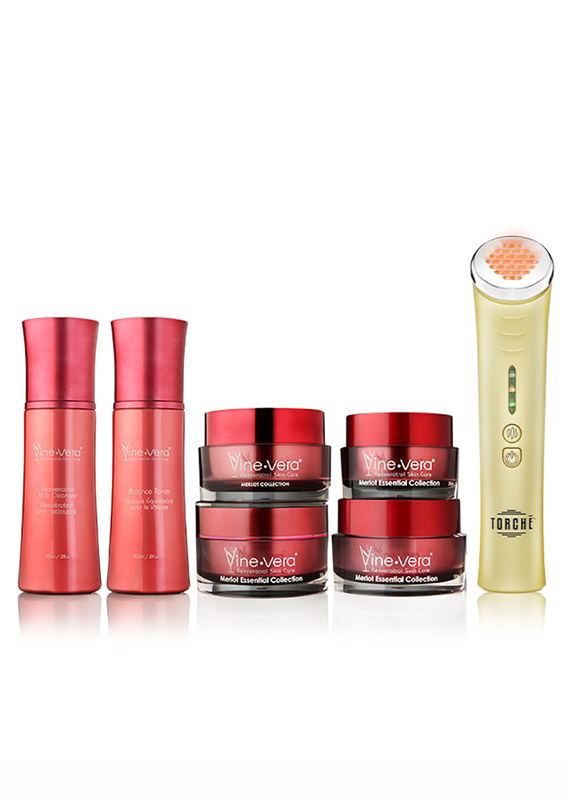 The Resveratrol Milk Cleanser is designed especially for delicate skin. It is formulated to gently remove make up and impurities while leaving your skin feeling soft and refreshed. 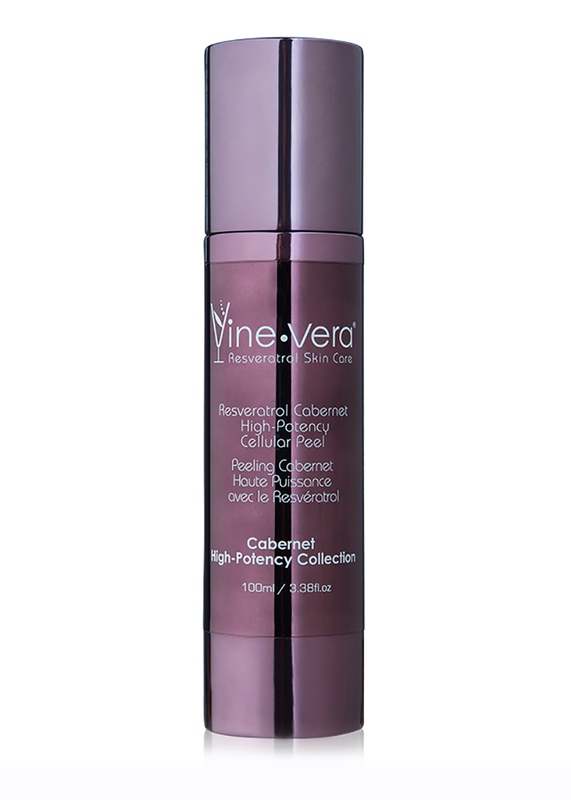 For best results, follow with Resveratrol Balance Toner. 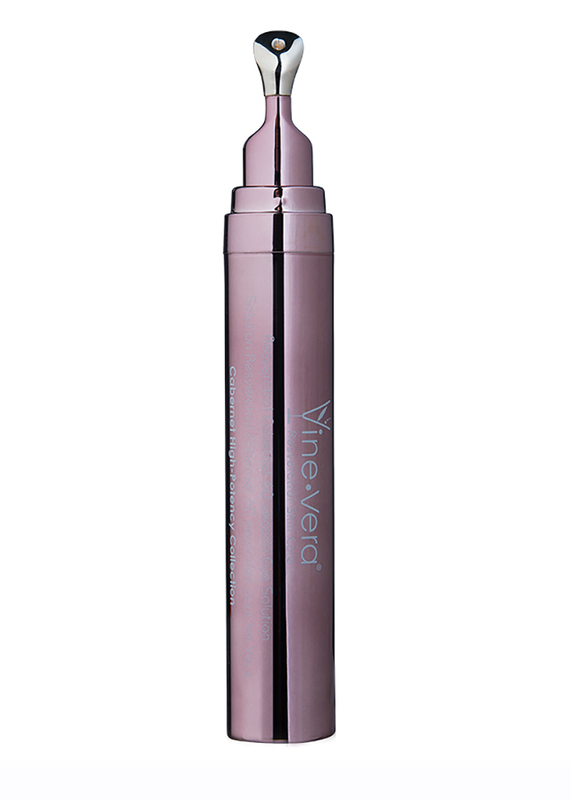 Vine Vera’s Balance Toner helps remove dirt and oil while leaving your skin with an even and radiant look. Use daily, prior to day cream. 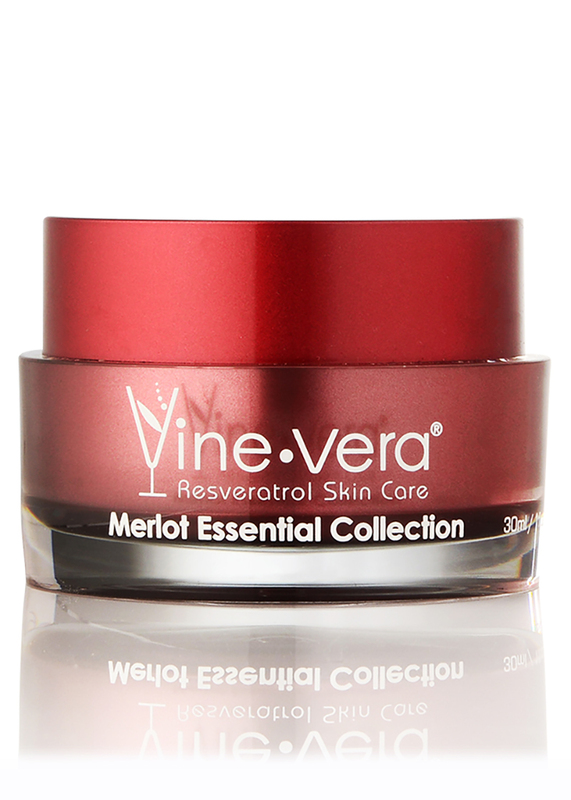 Resveratrol Merlot Facial Exfoliant is designed to gently remove dirt and oils that sit on the surface of the skin, revealing a brighter, more radiant-looking complexion, without stripping your skin of its vital oils. Use once or twice per week. Apply a quarter-sized amount to palm of hand, then apply to face and gently rub in circular motion avoiding eye area. Rinse off with cool water. 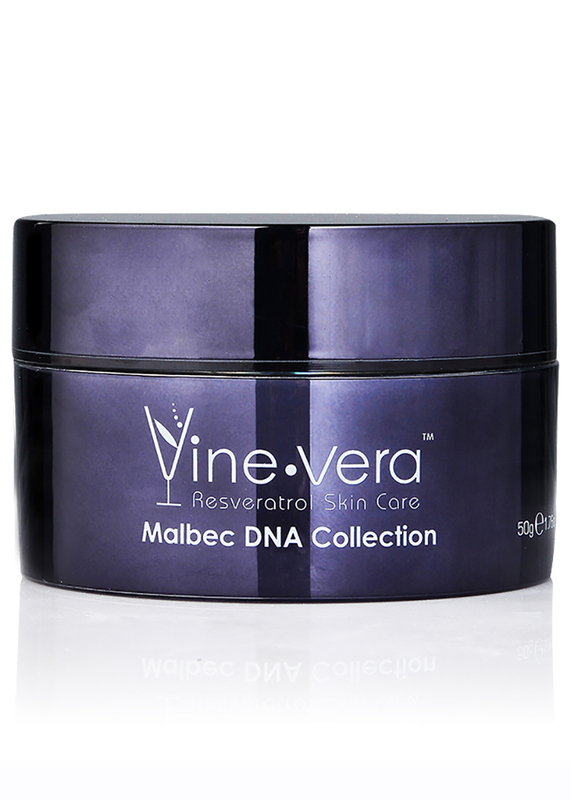 For best results, use in combination with Resveratrol Facial Serum or Resveratrol Moisture Day Cream. Apply generous amount to cleansed skin before bed. Apply daily to cleansed skin. Apply a generous amount on a cotton ball to remove impurities from the face and neck areas, repeat the action until you have a clean cotton ball in your hand. 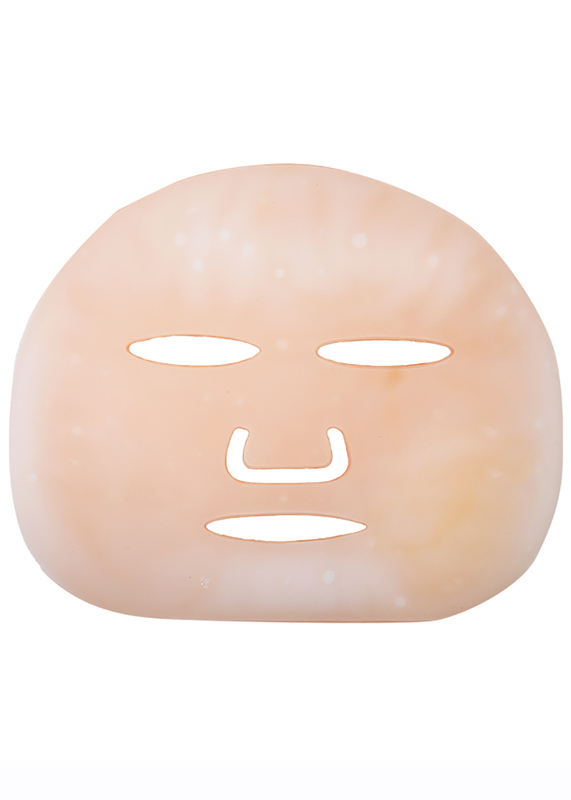 Soak a cotton ball to remove impurities and hydrate the face and neck area, repeat action as needed. Formulated for everyday use. Aqua, Glycerin, Cocotrimonium Chloride, Peg-100, Propylene Glycol, Carbomer, Pitchea/Resveratrol Ferment Extract, Methylisothiazolinone, Iodopropynyl Butylcarbamate, Nut Shell Powder, Disodium EDTA. Aqua, Glycerin, Propylene Glycol, Helianthus Annuus Seed Oil, Petroleum Hydrocarbon, Captylic/Capric Triglyceride, Cetearyl Alcohol, Cetearyl Glucoside, Butyrospermum Parkii Oil, Glyceryl Stearate, Peg-100 Stearate, Petrolatum, Dimethicone, Cetearyl Alcohol, Allantoin, Carbomer, Triethanolamine, Pitchea/Resveratrol Ferment Extract, Fragrance, Polyacrylamide, C13-14 Isoparaffin, Laureth – 7, Methylisothiazolinone, Iodopropynyl Butylcarbamate, Disodium EDTA, BHT. Aqua, Glycerin, Propylene Glycol, Helianthus Annuus Seed oil, Captylic/Capric Triglyceride, Betaine Monohydrate, Isopropy Myristate, Cetearyl Alcohol, Cetearyl Glucoside, Butyrospermum Parkii Oil, Glyceryl Stearate, Peg-100 Stearate, Dimethicone, Petrolatum, Cetearyl Alcohol, Sodium PCA, Carbomer, Triethanolamine, Pitchea/Resveratrol Ferment Extract, Polyacrylamide, C13-14 Isoparaffin, Laureth-7, Fragrance, Methylisothiazolinone, Iodopropynyl Butylcarbamate, Disodium EDTA, BHT. Ingredients: Aqua, Isopropyl Myristate, Peg-40 Hydrogenated Castor Oil, Glycerin, Ceteareth-6, Ceteareth-25, Treithanolamine, Carbomer, Cetearyl Alcohol, Fragrance, DMDM Hydantoin, Methylparaben, Disodium EDTA, BHT, Pitchea/Resveratrol Ferment Extract, Iodopropynyl Butylcarbamate. Ingredients: Aqua, Glycerin, Propylene Glycol, Peg-40 Hydrogenated Castor Oil, Niacinamide, DMDM Hydantoin, Fragrance, Allantoin, Disodium EDTA, Hyaluronic Acid, Benzyl Alcohol, Methylchloroisothiazolinone, Methylisothiazolinone. 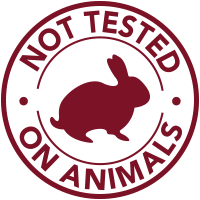 Aqua, Glycerin, Propylene Glycol, Carbomer, Cocotrimonium Chloride, PEG-100, Disodium EDTA, Pichia, Resveratrol Ferment Extract, Methylisothiazolinone, Iodopropynyl Butylcarbamate. 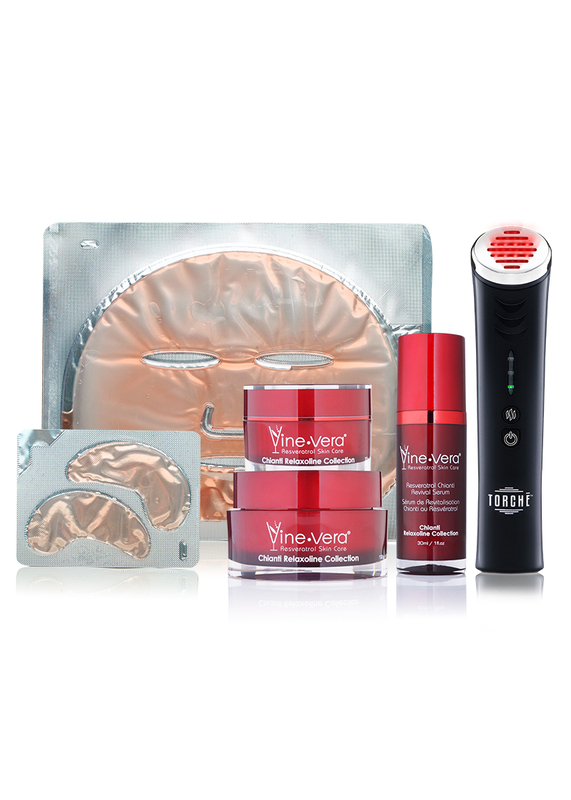 Purchase of Vine Vera products from unauthorized online vendors is strongly discouraged.